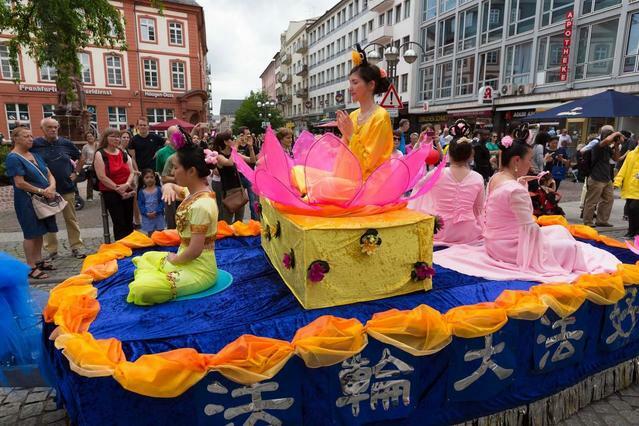 Falun Dafa practitioners joined the “Parade der Kulturen” (Parade of Cultures) in Frankfurt, Germany on June 25, 2016. Launched in 2003, this years' event featured over 70 groups showcasing a vast array of traditions. 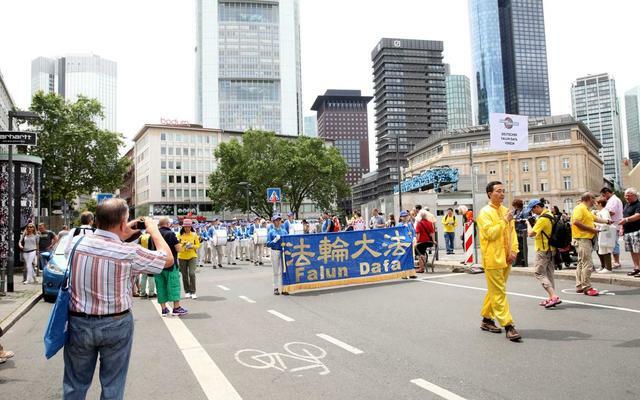 In addition to a colourful float and lively performances by the Divine Land Marching Band, the Falun Dafa contingent featured a section that informed the public about the persecution in China. Spectators showed appreciation and support. Local resident Wolfgang Schreiber was saddened by the brutal suppression of the peaceful Falun Dafa group in China. He asked for several blank petition forms so he could collect more signatures from his friends and family. He said that public awareness is the first step for more people to take action to stop the atrocity. 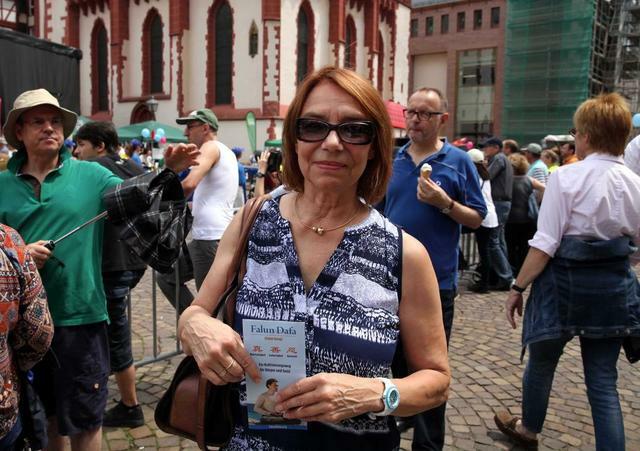 Therse Wojcik from Western Germany said she liked the Divine Land Marchng Band very much. Having grown up in Poland, she said she knew well of the Communist Party's brutal nature. 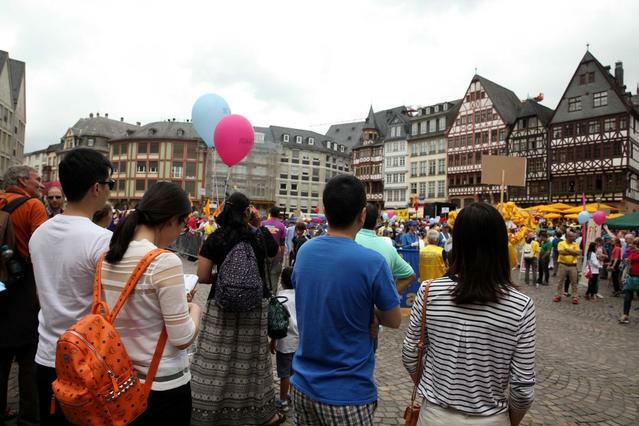 She encouraged practitioners to tell more people about the persecution in China. 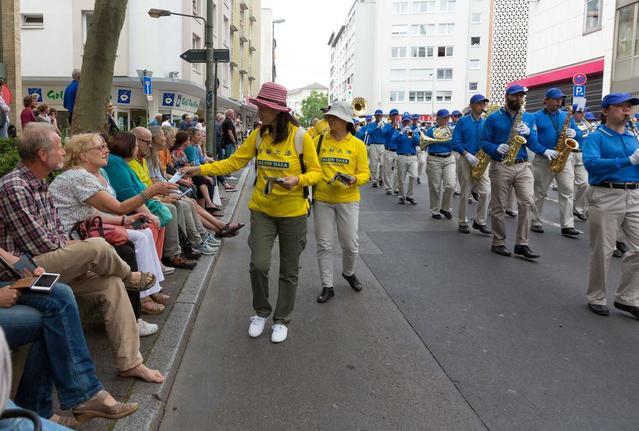 A young Chinese couple who lives in London said they were impressed by the Falun Dafa group's procession, especially the marching band. 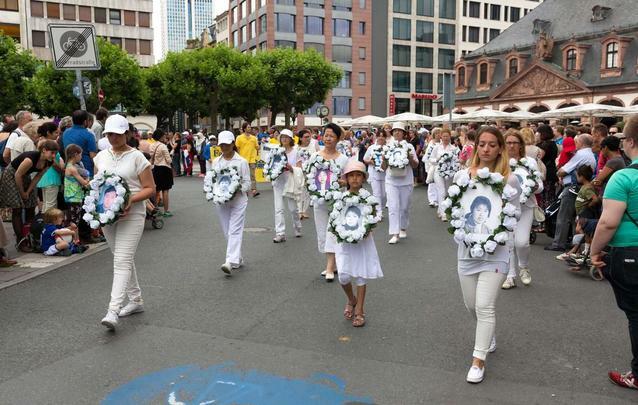 The husband said they had heard about Falun Dafa back in the UK, and that he supports practitioners' efforts to stop the persecution.